Quick overview Islam features widely in the news, often in its most militant forms, but few people in the non-Muslim world really understand its nature. Malise Ruthven's Very Short Introduction, offers essential insights into the big issues, provides fresh perspectives on contemporary questions, and guides us through the complex debates. Islam features widely in the news, often in its most militant versions, but few people in the non-Muslim world really understand the nature of Islam. 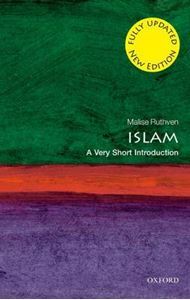 Malise Ruthven's Very Short Introduction contains essential insights into issues such as why Islam has such major divisions between movements such as the Shi'ites, the Sunnis, and the Wahhabis, and the central importance of the Shar'ia (Islamic law) in Islamic life. It also offers fresh perspectives on contemporary questions: Why is the greatest 'Jihad' (holy war) now against the enemies of Islam, rather than the struggle against evil? Can women find fulfilment in Islamic societies? How must Islam adapt as it confronts the modern world? In this new edition, Ruthven brings the text up-to-date by reflecting upon some of the most significant changes in the Muslim world in recent years; from the emergence of al-Qaeda and the attacks on New York and Washington on 9/11 and the ensuing wars in Afghanistan and Iraq, to the uprisings in the Middle East and North Africa. Ruthven includes new material surrounding the concept of a globalized Islam, bringing into question the effects of economic globalization, the effect of international events in Middle Eastern countries, the issues surrounding Islam and democracy, and the reception and perception of Islam in the West. ABOUT THE SERIES: The Very Short Introductions series from Oxford University Press contains hundreds of titles in almost every subject area. These pocket-sized books are the perfect way to get ahead in a new subject quickly. Our expert authors combine facts, analysis, perspective, new ideas, and enthusiasm to make interesting and challenging topics highly readable.